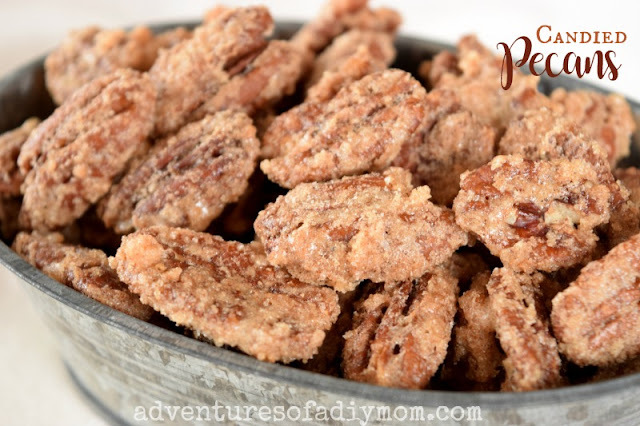 Candied pecans are a favorite at our house. 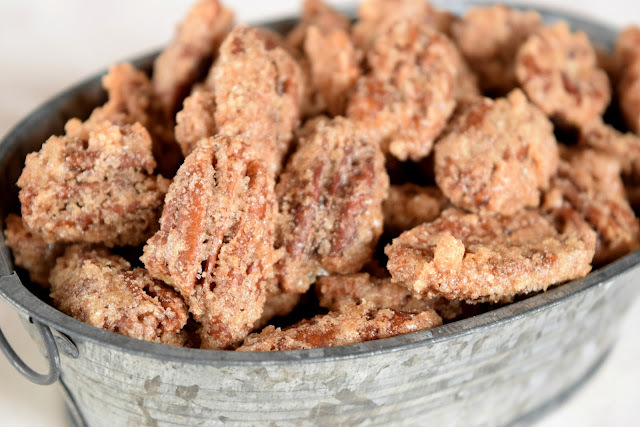 These pecans have a sweet crispy coating with just a hint of cinnamon. We love to have them at Christmas time and they get gobbled up quick. These candied pecans whip up in no time, but to take an hour or so to bake, so plan accordingly. 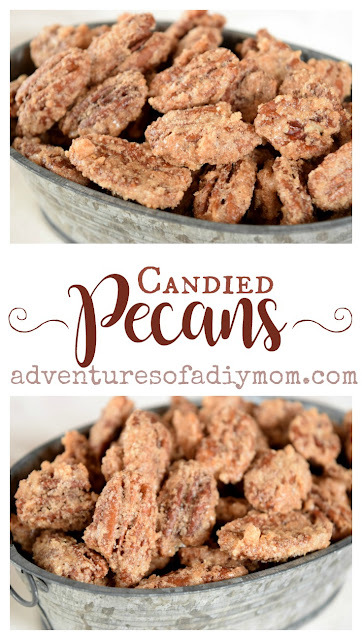 My husband was the first to make these pecans and we've made them often ever since. They are a great make-ahead treat and will last several weeks. I like to add them to a goodie plate for neighbor gifts. Whip egg white and vanilla until frothy. Add pecans and toss to coat. Mix together sugar, cinnamon and salt. Pour over pecans and stir until coated. Pour pecans onto a greased baking sheet. Bake at 250 for 1 hour. Stir at the 30 min, 45 min and 60 minute marks. Perfectly crunchy, sweet and delicious candied pecans. 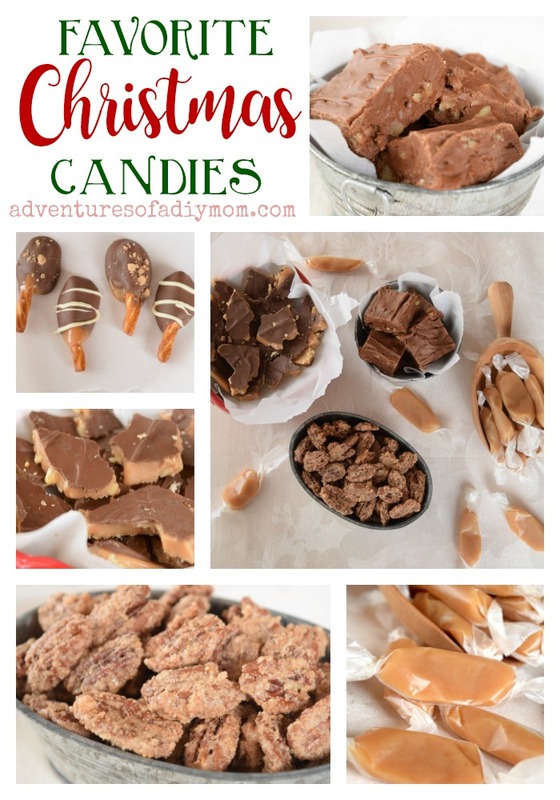 Add these to your list of Christmas goodies to try this year.